This year the children at Charles Dickens have been benefiting from an educational partnership with the Confucius Institute. Various year groups have been studying Mandarin and Chinese Dance and the experience has been both educational and engaging. 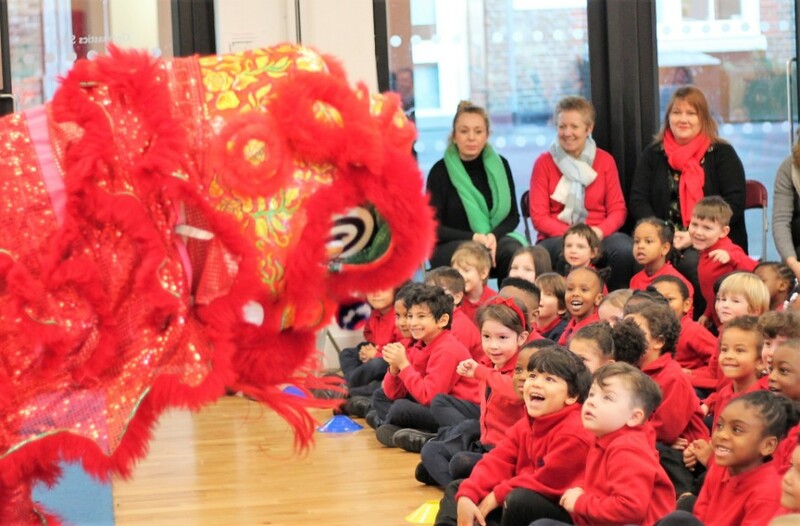 The Confucius Institute treated the whole school to a stunning celebration of Chinese culture on Monday in anticipation of the upcoming Chinese New Year. The children were thrilled by the traditional lion dance, a breathtaking kung fu pattern, superb dances and mesmerising musical compositions. A massive thank you to the Institute for the performance and a big thank you to Miss Lucile for organising the event.